Everyone has ups and downs in life, but those with bipolar disorder have manic and depressive episodes during which they feel extremely high or extremely low than the average Joe. Mood swings are much more extreme and are accompanied by different sleep patterns and ability to think clearly. Bipolar disorder is a mental illness because, if not managed properly, it can interfere with an individual’s ability to work and maintain long-term relationships, professionally and personally. Are you at risk for bipolar disorder? If you have a first-degree relative (such as a parent or sibling) who has bipolar disorder, or if you undergo high stress and abuse substances, you are at high risk for developing this mental illness. Thankfully, A-1 Home Care in Corona del Mar offers quality Bipolar Care to anyone who can use some relief from day-to-day activities. Got Problems? Call A-1 Home Care for Help! Suicidal tendencies are some of the most serious side effects of bipolar disorder. A-1 Home Care has a talented team of certified nurse aides and home health aides who are professionally trained to look out for signs of possible suicidal tendencies, especially after a recent tragic event like the death of a loved one or loss of a career. If you have a loved one with bipolar disorder who recently suffered a terrible event in life, get 24-hour help from A-1 Home Care in Corona del Mar. Of course there are 24-hour suicide prevention hotlines that one could call, but what’s better than having a qualified professional living in your home to not only assist with chores but to be a great companion all day long? 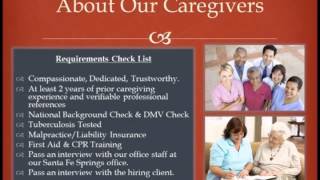 A-1 Home Care is a licensed, bonded and insured home care agency providing superior in-home care services of all types: Alzheimer’s and Dementia Care, Parkinson’s Care, Bipolar Care, Lou Gehrig’s Care and more. We recruit only the most talented and compassionate caregivers in Corona del Mar to provide you the best in-home care Orange County has to offer. Customer satisfaction is always guaranteed, and our 24-hour phone lines will always connect you to a live operator instead of an automated answering system. A-1 Home Care makes live-in and live-out in-home care affordable through easy financing options, veteran benefits and long-term care insurance. 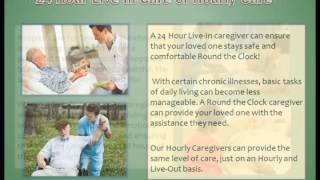 For quality 24-hour Bipolar Care, call A-1 Home Care (949) 650-3800 or visit us at www.coronadelmarinhomecare.com for services in Corona del Mar, Newport Beach, Laguna Beach, Costa Mesa, Tustin, Yorba Linda, Fullerton, Anaheim, and other surrounding cities. As we and those around us get older, there begins to be an increased risk for suffering injuries that result in brain damage. But did you know that the leading brain injury care solutions in all of Southern California are located right here in Corona Del Mar? At A-1 Home Care, we provide exceptional caregiving relief from the comfort of the home with diverse and compassionate caregivers who offer up helping hands and a golden heart to serve others all the time, every time. Our diverse caregivers reach out to people from all walks of life, including Asian, Middle Eastern, Jewish, and European, and offer the most affordable caregiver services in Los Angeles and Orange County. A-1 Home Care also provides caregiver services that include bipolar care, Alzheimer’s and dementia care for the cognitively deficient, and heart attack care that helps keep seniors happy and– most importantly– healthy in the home for the past 25 years and counting. For more information about the brain injury care options available near you at A-1 Home Care, speak with a helpful caregiver today at (949) 650-3800 or (562) 929-8400. 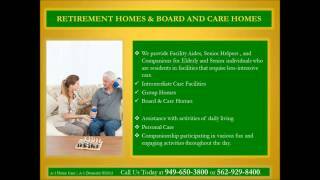 A-1 Home Care additionally services adjacent communities in Fountain Valley, Costa Mesa, Huntington Beach, Newport Beach, and Laguna Beach. Does you or a loved one struggle with sore, achy, and/or stiff joints that make the prospect of another year ahead rather painful? If so, then it’s time you set your gaze on the caregiving agency of choice right here in Corona Del Mar! That’s because A-1 Home Care sends diverse arthritis care experts to the comfort of the home– and all at a minimal cost to you. Each caregiver on staff provides affordable caregiver assistance to arthritic elders from all walks of life, including Jewish, Middle Eastern, Asian, and European. Each caregiver comes with helping hands and a golden heart to serve patients throughout the Los Angeles and Orange County areas so that no elder feels left out along the journey to greater home health in 2016. A-1 Home Care also provides caregiver options that include bipolar care, kidney disease care, diabetes care, and much more! Discover more for yourself about the affordable in-home caregiver solutions available at A-1 Home Care today when you pick up the phone and call a friendly caregiver at (949) 650-3800 or (562) 929-8400. A-1 Home Care also serves surrounding communities in Newport Beach, Fountain Valley, Laguna Beach, Costa Mesa, and Huntington Beach.